Have you ever wanted to learn to crochet, or perhaps brush up on old skills? 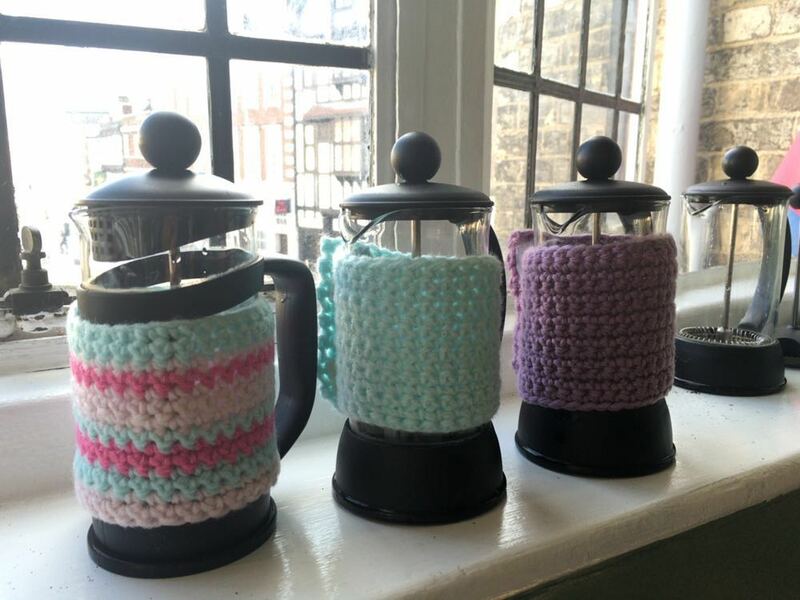 On our beginner’s course, held over two evenings, we’ll take you through the first steps of crochet and teach you how to hold the hook and wool and make chain, double crochet & treble stitches. If you’re feeling confident, we’ll move onto introducing new colours into your work. In the second lesson, once you’ve mastered these basic techniques, we’ll then show you how to make Granny Squares so that you have the skills to create your own blanket, handbag or even clothing. The course is suitable for total beginners, people who attended our Try Crochet! workshop or maybe you learnt many years ago and feel like you need a refresher. You’ll be learning in a relaxed and friendly environment with experienced teachers and lots of one-to-one attention, so we’ll give you all the tips you need to start crocheting with confidence! All materials and refreshments will be provided.